As the first snow of the season graced the city of Worcester, so did the rank and file of the Libertarian Party faithful, meeting in the back of MacDonald’s Tavern. 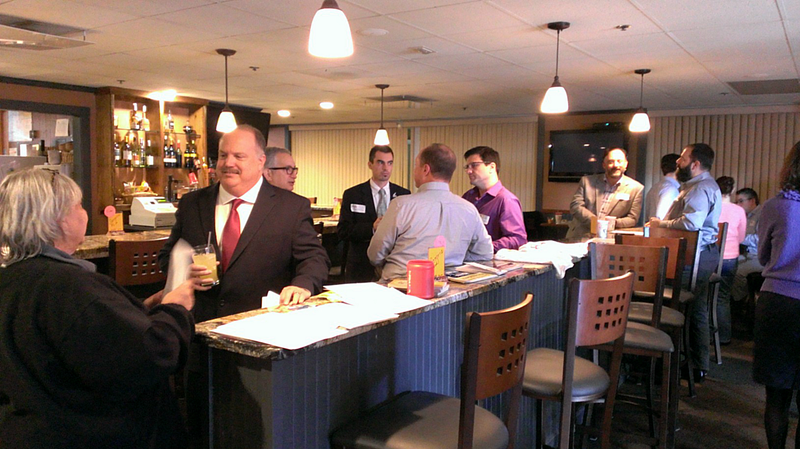 With around 30 participants packed into the bar, almost double the amount of 2014 attendants, the Massachusetts Libertarian Party conducted its annual state convention. Turnout was impressive considering they were competing for audience attendance with the Students For Liberty, a popular and like-minded pro-liberty youth movement holding a conference of its own in Boston. Participants ranged from those who believed in the idealistic party to the people hoping to earn their vote come next May. Mixed in there was even a candidate for U.S. Senate out of California, who flew over to film the event and start what he called a Libertarian Party business network to compete with the likes of CNN and Fox News. As dozens of party members made themselves comfortable, Massachusetts State Committee members recapped the hard work the party leadership has been doing to stay afloat, and what goals the party will have going into the future. They pledged money, support, and vision to turn the devout force into something capable of being a contender in the world of Bay State politics. From marijuana to membership, each member laid out their goals for the future if given the chance to retain their leadership roles. Forgoing the classic ranked choice voting system that has long separated the Libertarian Party from its first-past-the-post major party peers, Massachusetts libertarians opted to go for a slate election to save on time. While this was a decision that left some uneasy for its appearance of steamrolling over discussion and its lack of the libertarian staple candidate “None Of The Above” option, including Darryl W. Perry, the motion was easily passed, forgoing what would have been a mere formality, and committee members, as well as Orlando national delegates, were voted in with one big swoop. 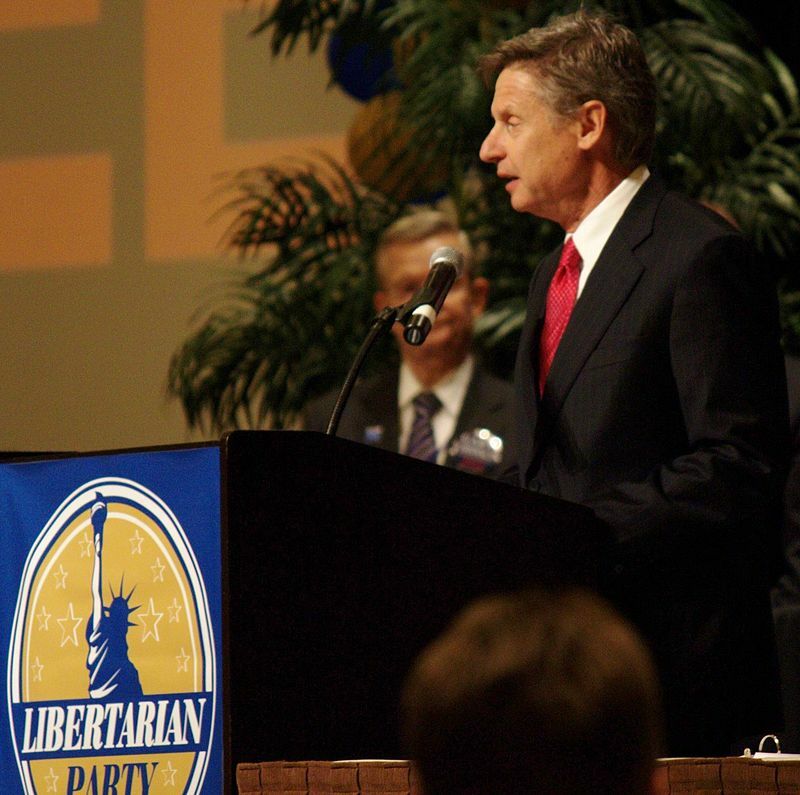 The Libertarian Party is famous for its ideologues and that sentiment was alive and well in the candidates who came forward seeking support. From the pragmatic to the downright anarchic, the third largest political party in the United States did not fail to provide a candidate for all strains of libertarianism. George Phillies, chairman of the Massachusetts Libertarian Party, moderated the debate and gave the four presidential hopefuls an assortment of questions covering a broad scope of topics, ranging from domestic policy to the size of the military to the candidate’s own ability to run a functional campaign. While the four presidential hopefuls overlapped on a number of issues, differing only in execution, there were still a few key differences that they hoped would separate them from the rest of the pack. Whereas Derrick Michael Reid, Darryl Perry, and Steve Kerbel generally agreed upon phasing out the role of social security in a libertarian society and the need for private accounts, Feldman bucked from the herd and preached about the benefits of using social security funds to refinance student loans, seeing it as intelligent business policy. Taking time after the debate to ask the candidates further questions, I sat down with Derrick Michael Reid, who could be described as outside of the usual minimal government ideology to which his Libertarian contemporaries prescribe. Citing the significance of moral, societal, and economic codes, Reid discussed his concerns with the raw anarchy that might arise from having absolutely no government standards. “I’m not a total libertarian” he told me. “You need certain controls to prevent anarchy.” Among those he listed criminal justice, civil corps, legal bodies, taboos, and a moral code as such examples. Starkly contrasting him is Darryl W. Perry, who strongly embodies his home state of New Hampshire “Live Free or Die” spirit. Perry, clearly no stranger to speaking his mind, separated himself from the pack early on in the debate by going on record and saying that he supports “gun control”, and by that he jokingly meant controlling one’s firearm, and advocating for the legalization of everything, even going as far as listing crystal meth. In fact, he said he’d be most comfortable if all things were “regulated like tomatoes”, something he had told the audience earlier is surprisingly regulation free. 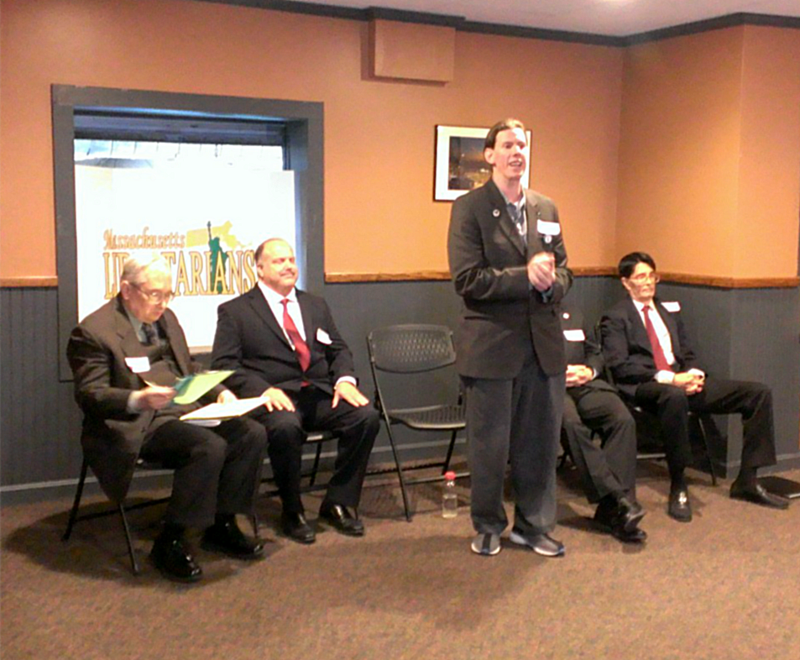 Steve Kerbel was a candidate who could be described as from the pragmatic wing of the party. 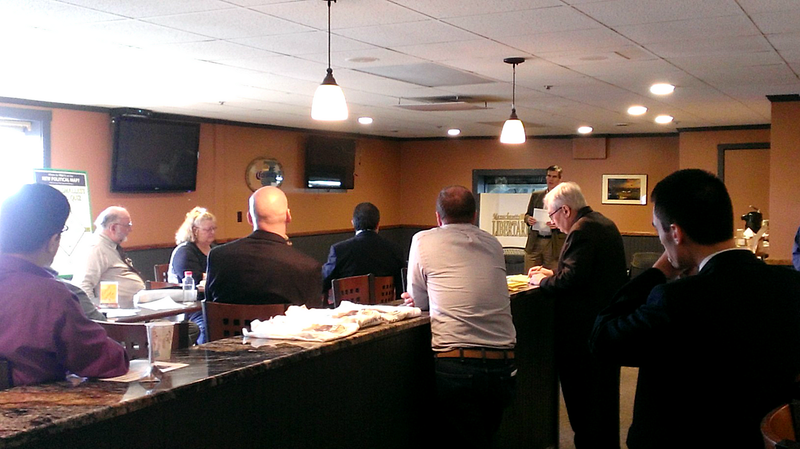 “We need every voter to know that they are libertarian”, he opined to the crowd. “We need to speak in bumper stickers”. In true Libertarian fashion, Kerbel railed against government interference in the 2nd amendment, the 4th amendment, the job market, and abortion, staying true to his message of efficiently shrinking the size and scope of the government. Kerbel stayed true to his sentiments even when pressed about racial tensions and the rise of the #blacklivesmatter movement in the United States. “I’m off the grid when it comes to Black Lives Matter.” he told me. “But we need to level the playing field [and] Individual liberty is my statement. Period.” Kerbel did attack private prisons however, and called them out for their failure to save money and their tendency to imprison even more people. The last candidate who participated, Dr. Marc Feldman, harped on the significance of his campaign being a corruption free campaign, reminding the audience that his campaign is called “Votes Not for Sale” and not “Marc Feldman for President”. Feldman also made known his lack of executive experience, but discussed it as a strength, especially in a political climate where the likes of Ben Carson, Donald Trump, and Carly Fiorina are making huge waves. Feldman also went on record and took positions slightly outside of traditional libertarian dogma, but tried to tie them into classic libertarian ideology. “I’m a supporter of Israel and the Israeli Defense Force” he said to a surprised audience. “But I would cut all foreign aid and would help them privately. In fact, Feldman styled himself a “libertarian populist” and explained that he supports an individual’s right to choose, even if that right is to support a government funded program that he may not necessarily agree with himself. 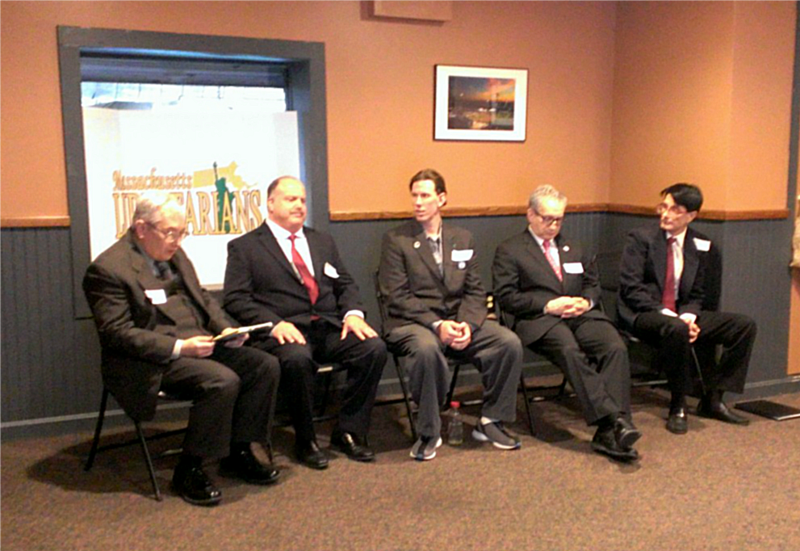 No candidate drew more ire than one who wasn’t even in attendance. The 2012 presidential nominee, Gary Johnson, was a popular punching bag, getting called out by Perry for his outstanding 1.3 million dollar campaign debt and by Feldman for his inability to make the effort to participate in the campaign process. There’s some discussion as to whether Johnson is in fact a formal candidate or not, but as of an April interview with the Daily Caller, he had said he was gearing up for a run. One topic not so wildly discussed during the debate was the fate of Rand Paul’s stalwart supporters in the Republican Party. While the Kentucky Senator continues to place in the GOP’s top ten, his waning support has drawn the ire of his Republican contemporaries to call for his dropping out. When asked about whether or not Paul supporters would be a low hanging fruit, the general consensus is no. “I’m looking for new voters. Those in the Republican Party are too hard to get out.” Marc Feldman told me. “I would be surprised if “Rand Paul the Republican” voters would even vote for Rand Paul the Libertarian”. “There’s a reason they’re supporting Republicans” Perry agreed, before pointing to number of votes the Constitution Party’s 2008 nominee Chuck Baldwin and Gary Johnson, the two candidates who were most expected to profit from the elder Ron Paul’s 2008 and 2012 runs, ultimately achieved. 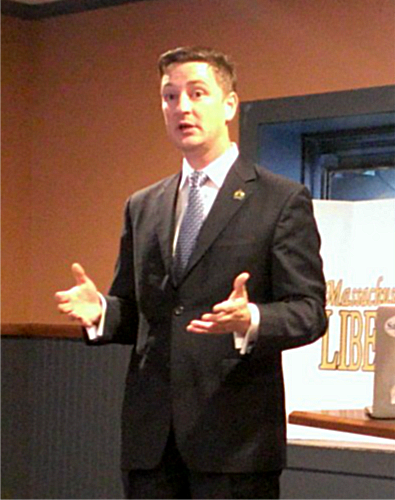 Nicholas Sarwark, the chairman of the National Libertarian Party, also attended the party convention as the keynote speaker. Sarwark gave an impassioned speech about standing with the party and how the national party seeks to run over 1,000 candidates in 2016. More importantly, he harped on the significance of working together and how the path to success for the Libertarian Party is to learn how to agree to not agree on every little thing and accept new members as they come. A shout of “statist!” was heard when he discussed a potential voter with a fondness of public schooling, as if to underscore his message. “It’s a wonderful word that means nothing to anyone outside of this group, and it’s mean!” he said, over applause. The Libertarian Party was founded in Colorado in 1971, and is dedicated to “Minimum Government and Maximum Freedom.” The 2016 Libertarian Party National Presidential Nominating Convention will be held at the Rosen Centre Hotel & Resort in Orlando Florida from May 27th to May 30th.